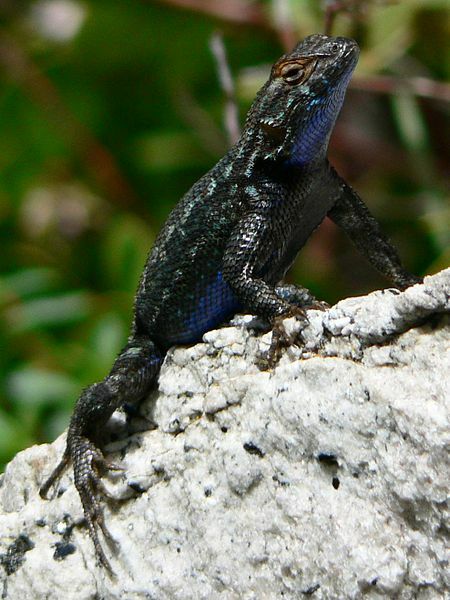 The Western Fence Lizard is a reptile that is often seen scurrying along the shrubs and trees of the woods in the western states of America. 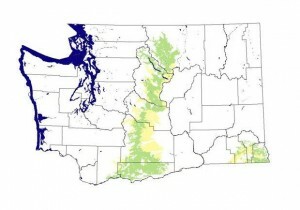 They are very common in coniferous forests that form part of their natural habitat. One can also keep them as pets, but they need special care. An interesting behavior of Western Fence lizards is that they keep moving in and out of the sun to regulate their body temperature. 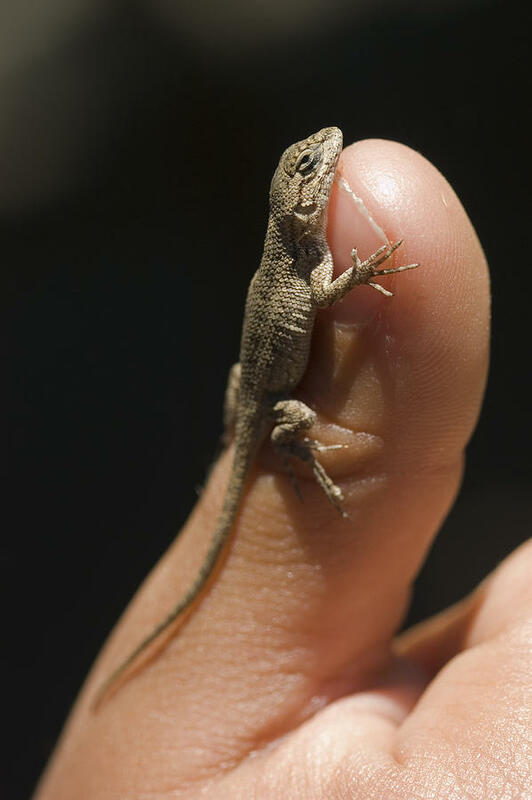 This technique is called thermoregulation and helps these cold-blooded animals to avoid the extremes of climatic variations. Another aspect of their behavior is territorial defense. 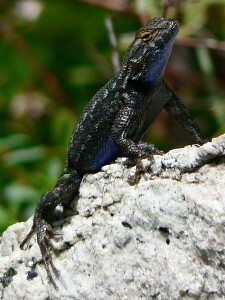 Males do rapid pushups that display their bright blue bellies as a signal to drive away other males and defend their territory. 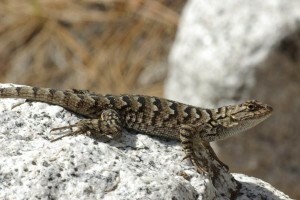 The breeding season for this reptile ranges from March to June. They fight with other males to show their dominance over their territory. If a female is interested, she comes closer, and the male vies for her attention. However, it is up to the female if she will allow the male to mate with her. The female has a gestation period of two to four weeks. After this, she lays her eggs, during the months of May to July. 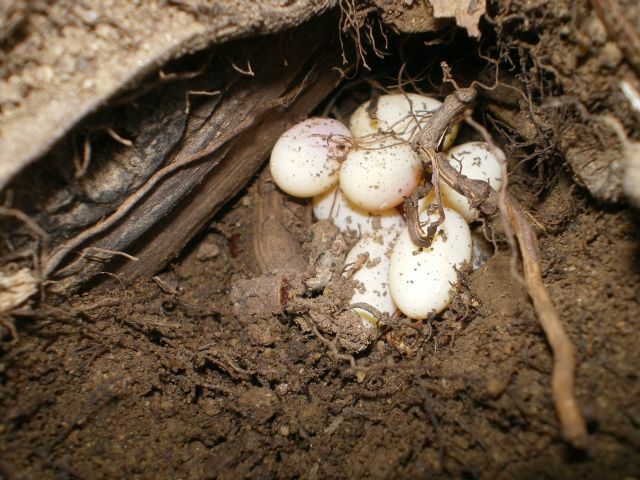 The female lays a clutch of about eight eggs on average, being able to lay up to seventeen eggs in a single clutch. The female incubates her eggs for two months, after which the eggs hatch and the baby lizards emerge from their shells. 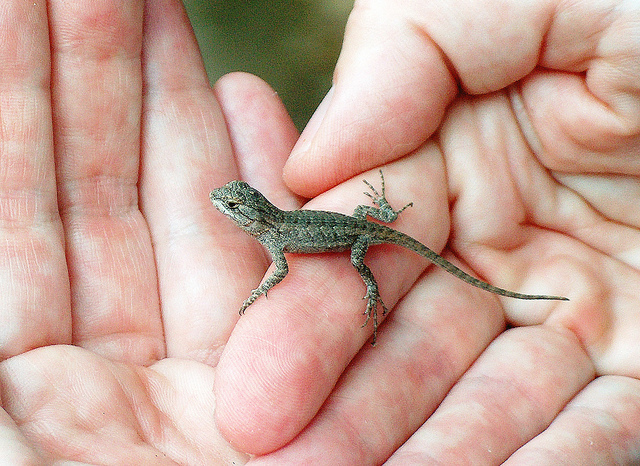 The hatchlings will grow and mature in a year and will be able to mate in the spring of the following year. The bright blue color that is characteristic of the adult males is not present in the juveniles; they develop a little later. 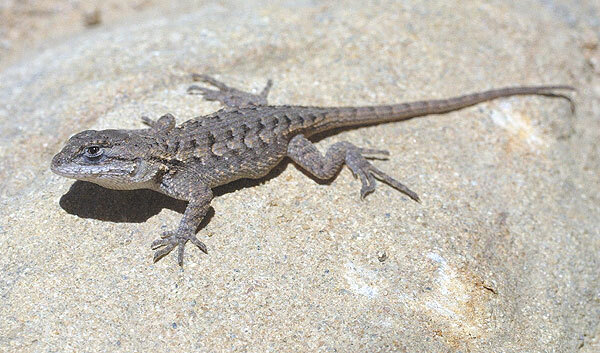 This lizard has a detachable tail that it discards when attacked. The tail moves a little when it gets detached so that it can distract the attacker. A new tail will grow back but will be shorter than the original one. They can change color according to their surroundings and this helps them camouflage themselves from their predators. They have amazing reflexes and can run away quickly from their attackers. They have needle-shaped teeth with the help of which they catch their prey. Certain enzymes found in the lizard’s blood kill the bacteria that are responsible for causing Lyme’s disease. 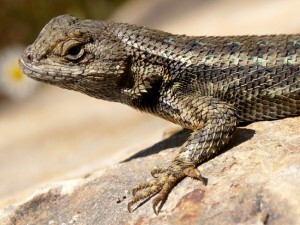 These organisms are purged from the intestines of the carrier ticks when they feed on the blood of the lizards; thus, reducing the incidence of this disease in their habitat. 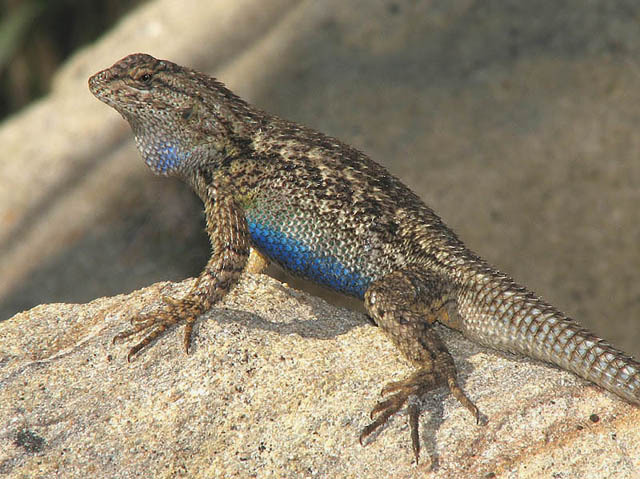 The blue scales on the ventral side of their body have given them the name “blue belly” lizards. They get their required water by licking the mist and the dewdrops that collect on plants and leaves. Lack of heat makes them lethargic and results in their digestive process slowing down. Published on June 27th 2015 by admin under Coniferous Forest Animals.